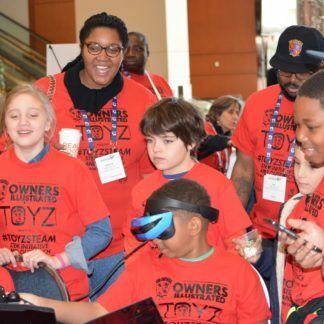 The November 2016 Toyz Nation Gaming League (TNGL) hackathon weekend was a tremendous success! 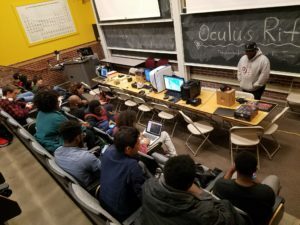 It was our most diverse event yet, with various elements encompassing Electrical and Computer Engineering, Virtual Reality and Game Development, Music Production, Wearable technology, and career development. 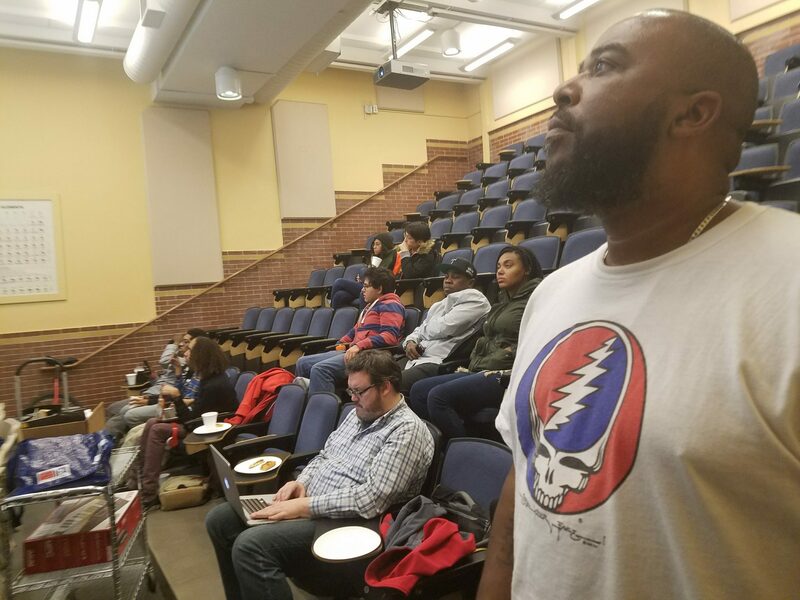 Thanks to the support of Jelena Kovacevic, head of the ECE department, Drew Davidson, Tom Corbett, from I.D.E.A.T.E, Jesse from the Music department, Oculus, Jecolia from the Sensors team at Google, my dad who brought his music producers Zack, and Miguel, along with his colleague Quincy Taylor from DefJam records, and most of all the students who came from far and wide we were able to boast a unique blend of art and technology. 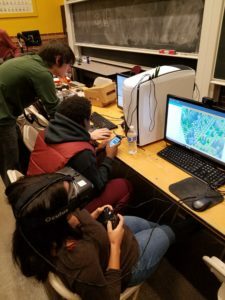 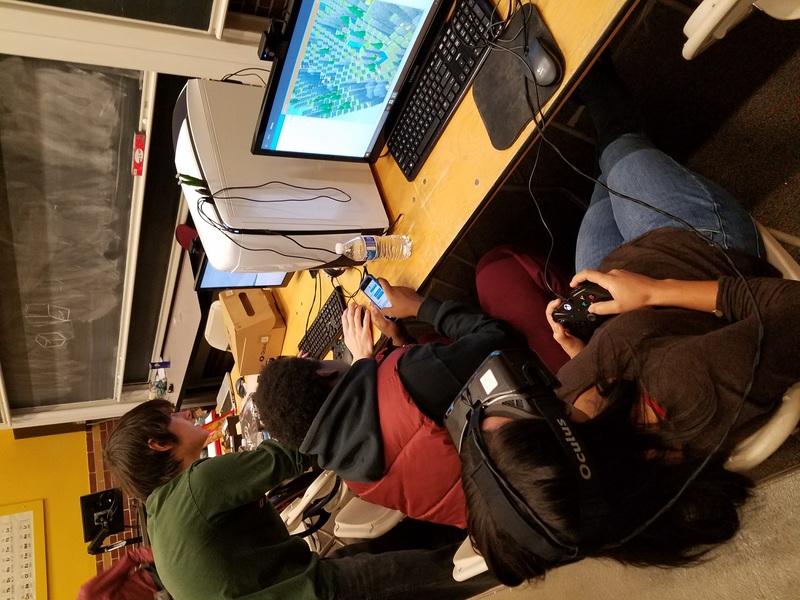 Students were able to learn about music production, create beats, and develop virtual reality games for Oculus using VR capable rigs transported from the DC Area. 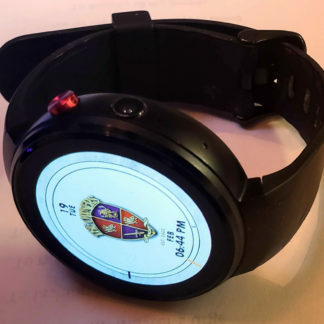 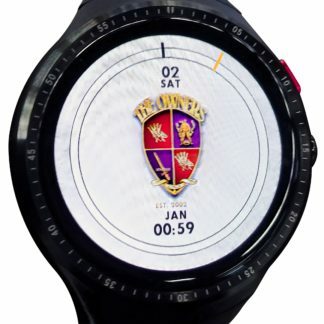 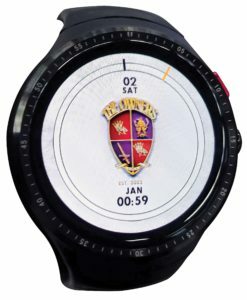 Many students also got to experience the Android Studio environment for the first time using the Android 5.1 smartwatch which my startup Toyz Electonics has been developing on campus. 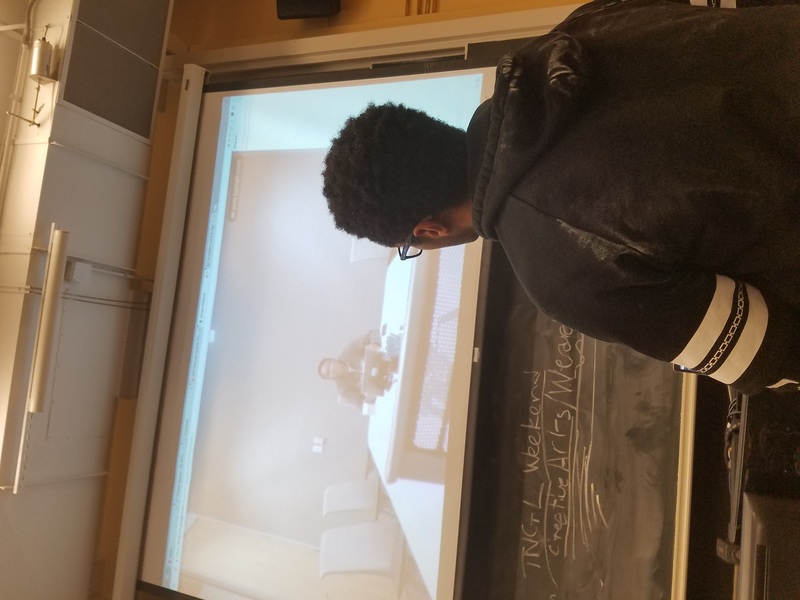 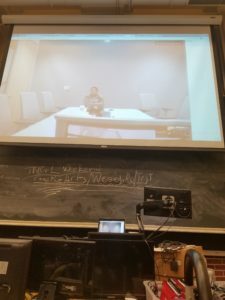 Several students were able to ask Jecolia questions about their application ideas via a live briefing and Q & A session from Google headquarters. 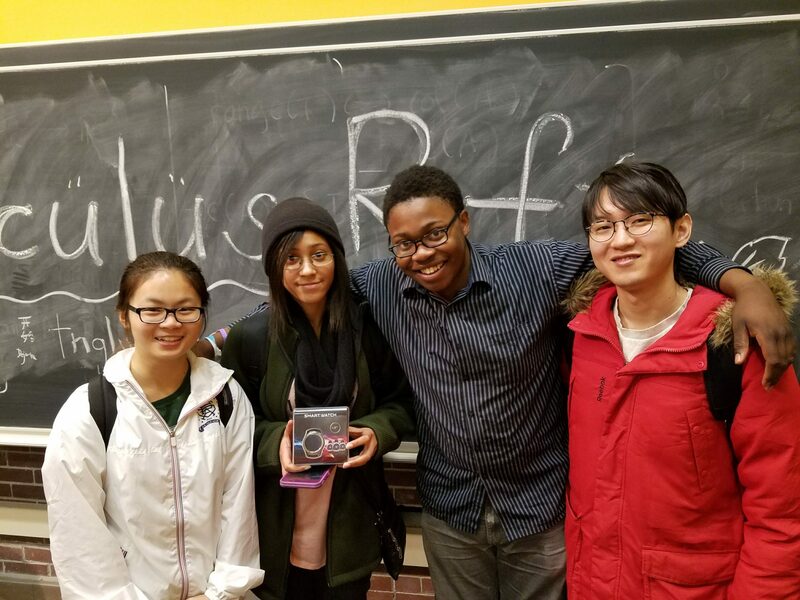 Additionally, students developed apps as diverse as cooking directions with Youtube integration and a medical monitor app, both supported by our wearable technology. 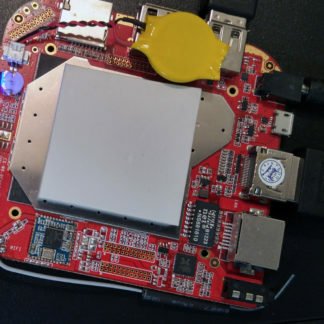 This feat was impressible, especially since some teams had never been exposed to Android development. 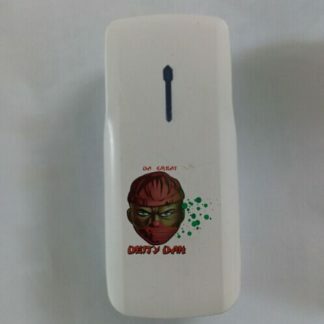 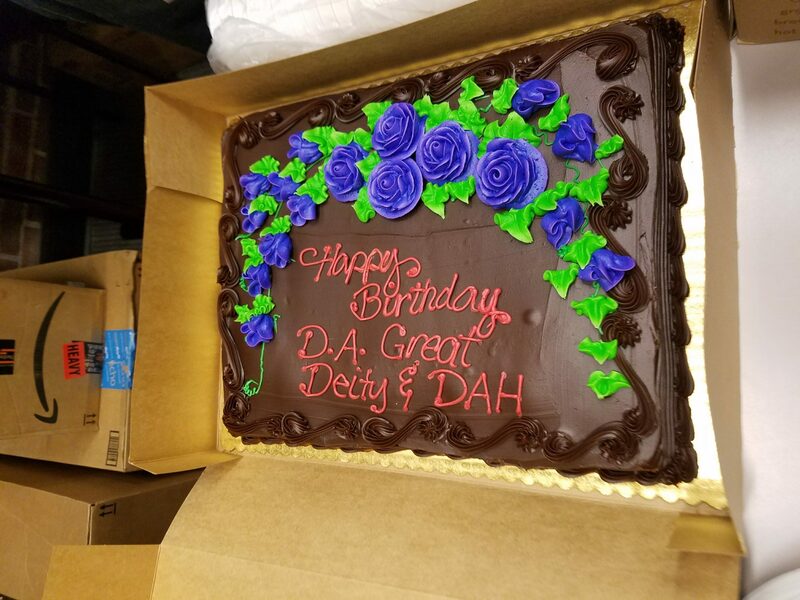 In the 90s my dad had a hip-hop group Da Great Deity Dah and currently his music is sold in over 30 countries spanning 5 continents. 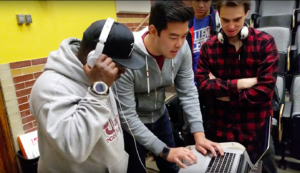 He was able to bring 2 of his producers who used the equipment provided by the IDEATE department, along with an extensive amount of technology they transported from DC to teach students how to produce music. 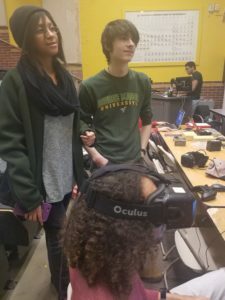 For many students this was their first time with such an experience. 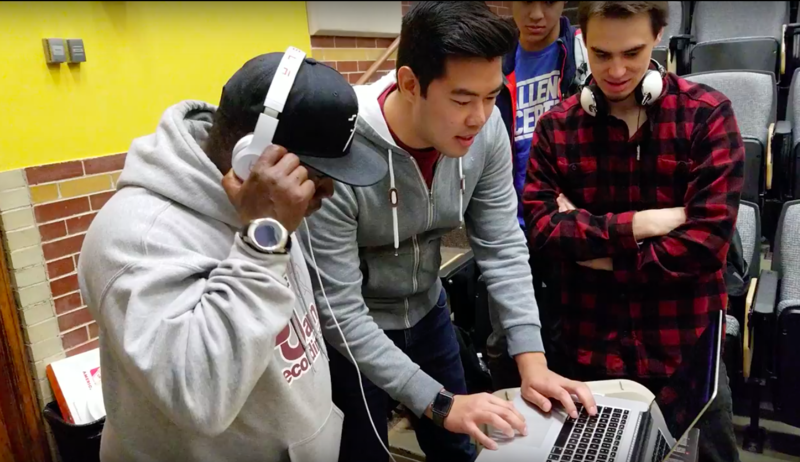 It was truly interdisciplinary in nature: engineering students recognized their artistic potential while making remixes to songs from my father’s hip-hop classic Declaration of War, released in 1998. 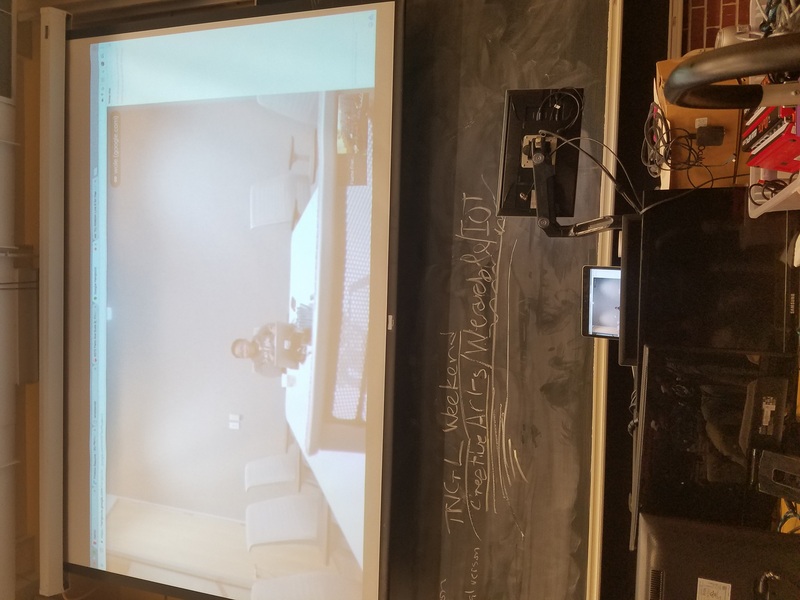 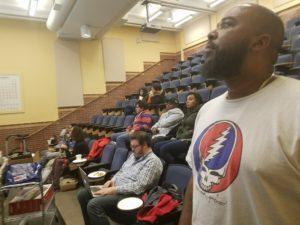 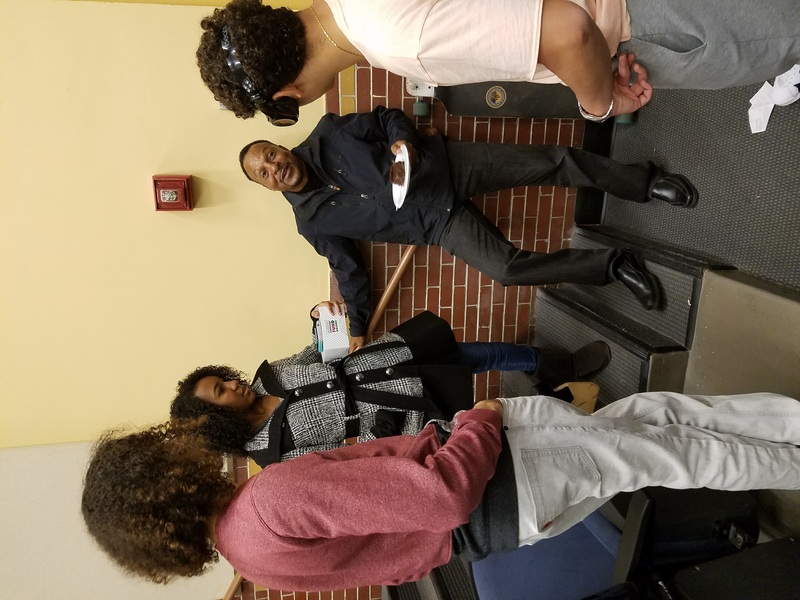 Quincy Taylor, who works in various capacities with Def Jam Records spoke to students at length about the recording industry covering topics such as artist management and pursuing a career in the recording industry. 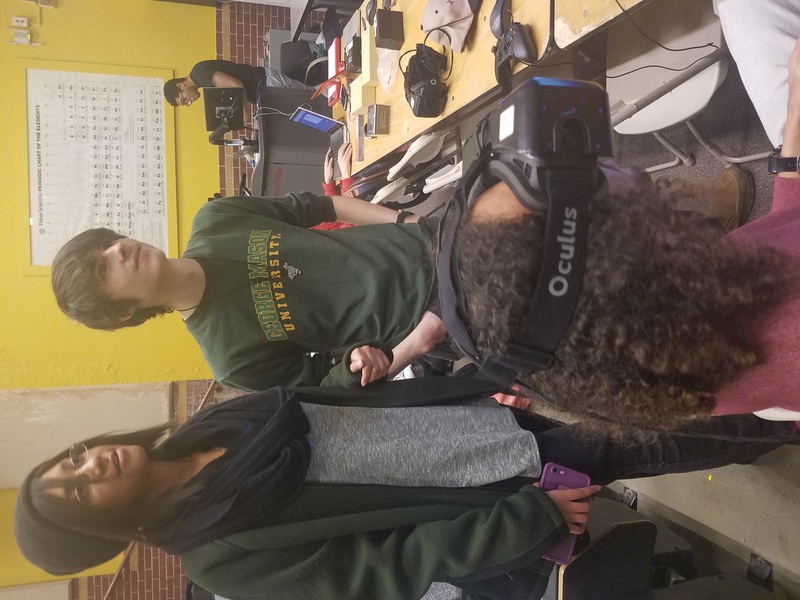 TNGL entertained participants from DC area schools which included University of Maryland, George Mason University, and Trinity College. 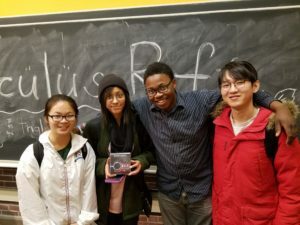 Additionally, local schools participated such as the University of Pittsburgh. 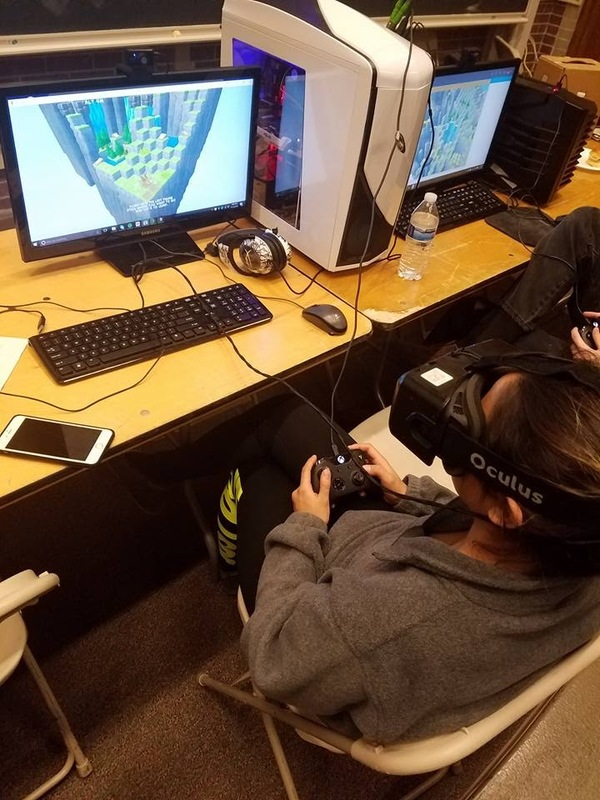 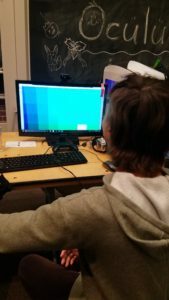 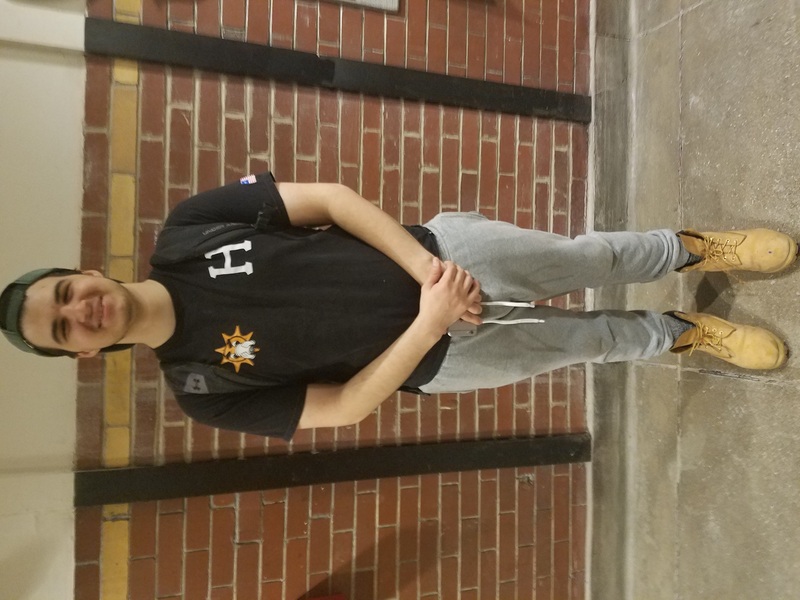 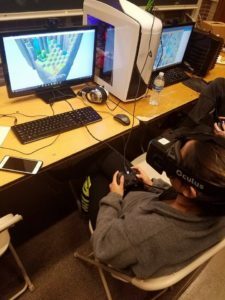 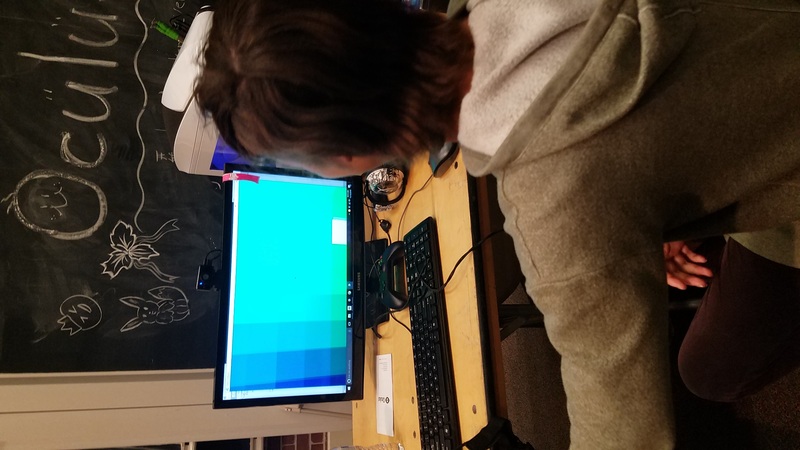 The exciting thing about the virtual reality games was that students were able to play test games that were developed at the Hackathon and gave incredible insight to aspiring virtual reality game developers. 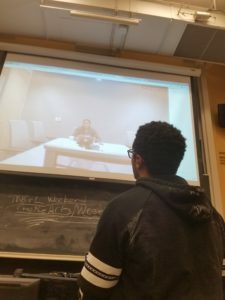 We also incorporated social media via live streaming so potential students who were visiting were able to participate in the event. 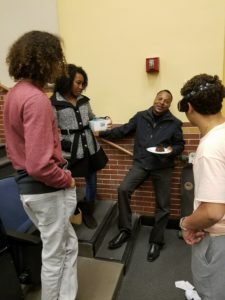 Followup Job Opportunities in both Music and Engineering fields were available to participants who attended this event. Overall this event was a huge success and we look forward to our next event slated for February 2017! 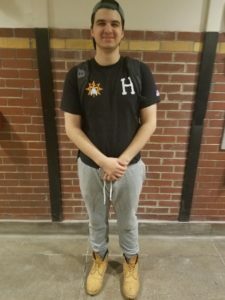 Here are some photos attached below, for a link of all photos and videos (which will continuously be updated) please click this link! Thank you!